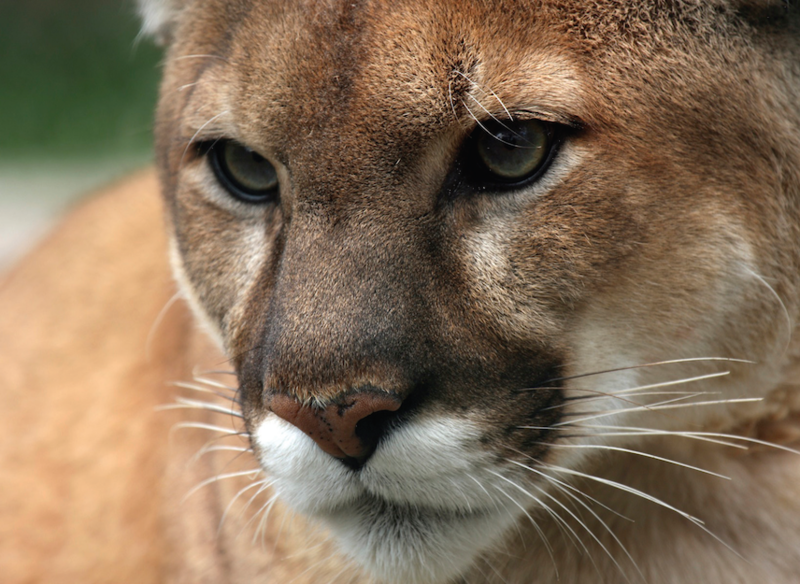 Two Florida panther siblings were killed by cars on August 24th, marking the 20th and 21st panther deaths for 2014. The four-month old kittens were found on either side of Immokalee Road, near Wildwood Boulevard at the entrance to Bonita Bay Club East in Collier County. Twenty-two panthers have died this year: seventeen from vehicle strikes, two from intraspecific aggression (fighting between individuals of the same species), and three from other causes. With this many deaths by September, the state is heading toward a record breaking year for panther mortality; the current record is 26 panther deaths in one year. Mortality tends to increase in the fall and winter months, when southwest Florida's human population increases. Mortality by vehicle strike and intraspecific aggression is a direct result of habitat loss and increased pressure from development. Once ranging throughout the southeastern United States, panthers have been relegated to a breeding population south of the Caloosahatchee River. These lands are increasingly being carved up for housing developments and fragmented by roads, which puts dramatic pressure on a species that has reached, and possibly exceeded, it's carrying capacity in its current habitat. One solution, other than protecting more habitat for the panther, is to couple wildlife underpasses with fencing in high risk areas for panther deaths. Installing underpasses has significantly reduced road kills in those areas. On I-75, along Alligator Alley, this method has drastically reduced all road kills, a great success for such an environmentally sensitive area. Coupling fencing with underpasses allows wildlife to be funneled into a safe thoroughfare, which not only allows panthers to cross roads safely, but also benefits black bears, bobcats, otters, and other species. Stop big sugar's sprawling city!